Add another name to the training camp roster. Scott Upshall coming to #canucks camp on a PTO. As reported by Sportsnet’s Dan Murphy, the Canucks have signed free agent left winger Scottie Upshall to a pro tryout (PTO) contract. Upshall, who turns 34 next month, is a veteran of 696 games with Nashville, Philadelphia, Phoenix, Columbus, Florida, and St. Louis. 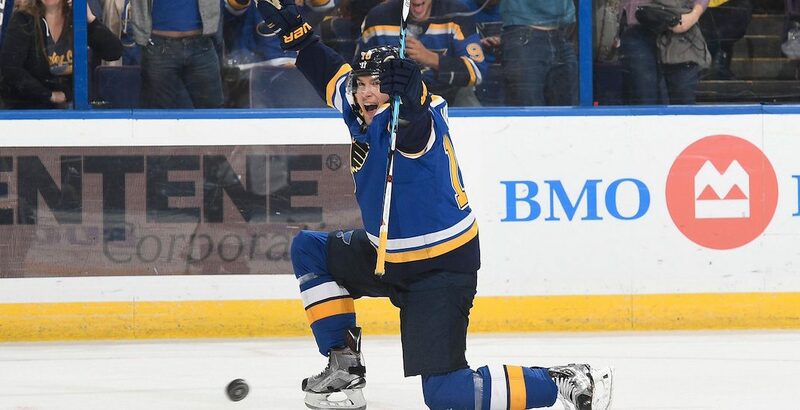 Upshall appeared in 73 games with the Blues last season, scoring 18 points (10-8-18). He averaged just under 11 minutes of ice time per game. Agent told me the #Canucks were after Upshall to improve penalty killing. The Fort McMurray, Alberta native ranked third among all Blues forwards last year in penalty killing ice time. The Canucks have a glut of forwards signed to one-way contracts though, so making the team will be a tough task. Still, if Upshall can impress in camp, he could catch the eye of head coach Travis Green in preseason as a fourth line option. Throughout his career he’s been known as a gritty, physical player with good speed. Jack Skille, who signed with Dynamo Minsk of the KHL on Thursday, won a job last year on a PTO, so it’s not completely unheard of. Hockey season has arrived, as the Young Stars tournament begins in Penticton on Friday. Training camp begins next week, with the first preseason game to be played on September 16.